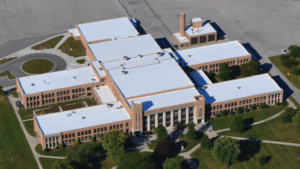 If you want to hire commercial roofing contractors who are both reliable and communicative, trust the new construction roofing professionals at Veterans National Property Services. Our professional roofers are trained to apply the best possible roofing techniques to your new Tampa Bay area property. Therefore, you can confidently believe in our expert abilities to provide you with a new roof you will never have to worry about again. Additionally, we are a licensed and insured Service-Disabled Veteran-Owned Small Business (SDVOSB) and a minority-owned business that is committed to communicating with you throughout the entire project, distinguishing ourselves as a company dedicated to completing exceptional work that you can count on. If you are building a new structure for your business and would like to provide it with the finest roof available, contact the commercial roofing contractors at VNPS. We proudly serve businesses and homes in the Tampa Bay area and are prepared to give you a new roof you will love. Ruben and his team are such professionals! Have used them for my own home and recommended him proudly to others. © 2019 Veterans National Property Services. All rights reserved.